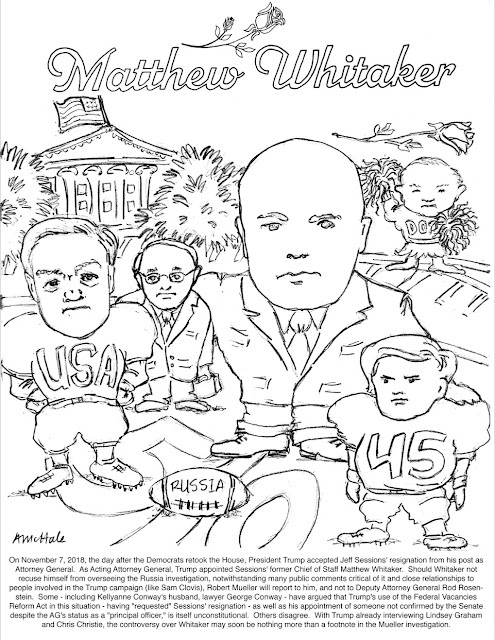 Herewith, our contribution to the matter of Matt Whitaker, the former Rose Bowl tight end and U.S. Attorney (for Iowa, in both cases), now catapulted to national prominence by his elevation from Chief of Staff to Attorney General Jeff Sessions, to the position of Acting Attorney General of the United States - thanks largely, it would appear, in gratitude for his critical comments about the Mueller investigation, made in the mainstream media. Imagine Acting AG Matt Whitaker (aka "Mr. Clean") in that hot tub he posted on for a company described as a scam by the FTC. Surely Trump was aware of Mr. Clean's resumes" via CNN on his views of the Mueller investigation. 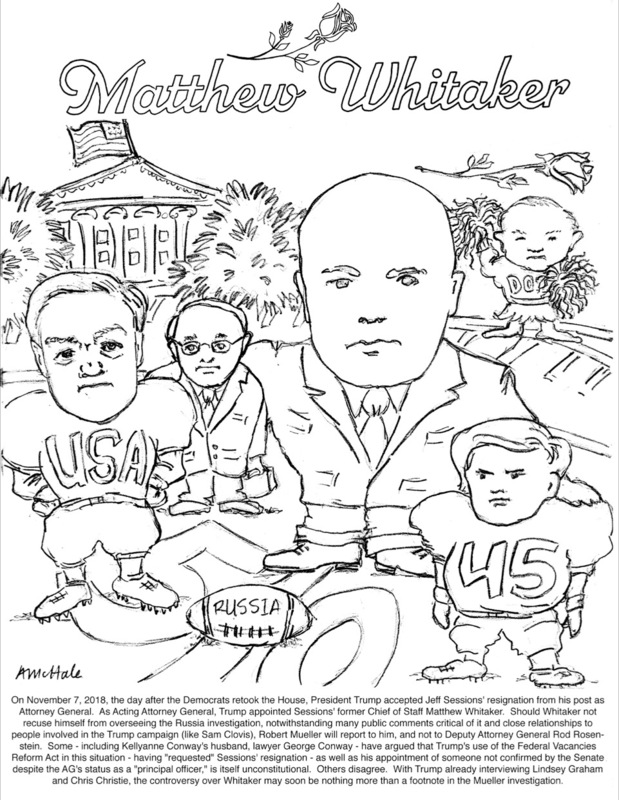 Will Mr. Clean serve 210 days? Color Mr. Clean orange. In the end, Mr. Clean and Trump are tight.